Have you ever had a foot or ankle injury? Your first reaction may have been to tough it out, wrap it up, or keep some weight off of it for a while. Depending on the nature of the injury, these efforts may have been effective. However, there is a protocol for caring for an injury, and elevating the affected foot is an important part. Elevation is important immediately after an injury as it helps to reduce the amount of blood flow to the injured area. This helps decrease pain, swelling, and inflammation that may be present. When you are able to minimize swelling and limit any internal bleeding, you set the stage for faster healing. 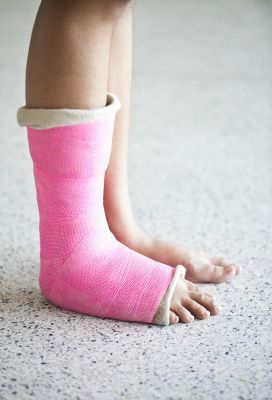 If you have sustained a foot or ankle injury, observing the RICE method of treatment is a good place to start, along with calling a podiatrist. The RICE method involves rest, ice, compression and elevation. When you have a lower extremity injury, it is important to elevate it at or above the level of your heart. This can be done if you are lying on your bed or a couch and simply putting some pillows under the injured limb. Even a small injury to your foot or ankle can become worse or even cause chronic pain if it is not treated or rehabilitated properly from the beginning. Foot pain is never normal and we encourage you to contact our podiatric office at the onset of any symptom, big or small. This is especially true if you have an underlying condition such as diabetes that may complicate the healing process. If you have sustained a foot or ankle injury or fear that a recent one is not healing properly, please call Dr. Harvey Danciger today. Schedule an appointment by calling our office in Palm Desert, CA at (760) 568-0108 or request one online.